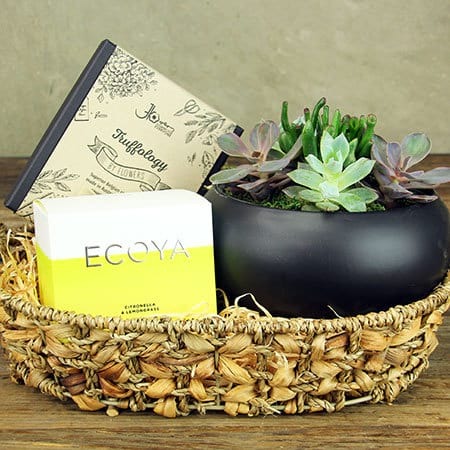 Our contemporary Sydney Summer Gift Hamper includes an on-trend, black ceramic bowl of succulent plants tucked in with fresh green moss. This plant arrangement is easy to care for and would look fabulous on an outdoor patio table for festive celebrations. 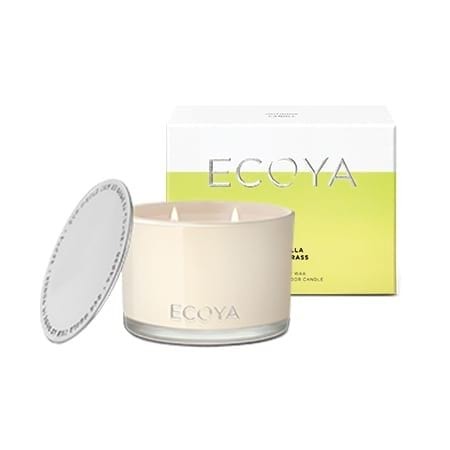 To go with your succulent plant, we`ve included an ECOYA outdoor Citronella & Lemongrass to provide an exotic fragrance while entertaining, with the added bonus of keeping the mozzies at bay! 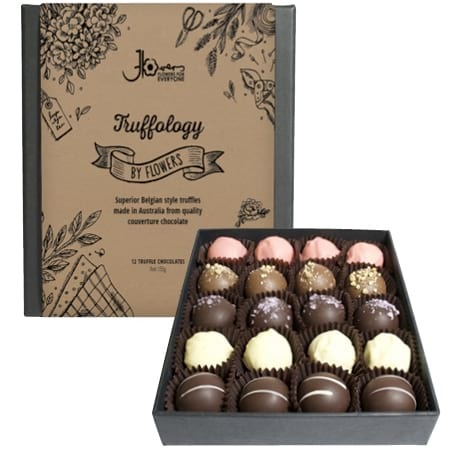 And lastly, a box of our Truffology by Flowers premium quality assorted Belgian truffles to share with guests or enjoy all to yourself. 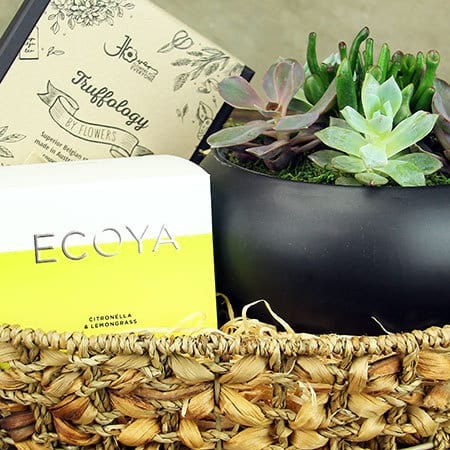 Please Note: Our truffles contain milk, soy (lecithin), tree nuts and alcohol. They may contain traces of peanuts and gluten.